CHICAGO–(ENEWSPF)–June 5, 2017. Mayor Rahm Emanuel today joined Alderman Sophia King (4th) and members of the Bronzeville community to break ground on a new pedestrian and bike bridge at 41st Street over South Lake Shore Drive. 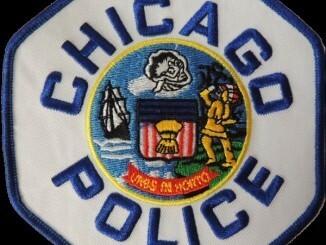 The construction project will be managed by the Chicago Department of Transportation (CDOT) and create about 140 jobs. When complete, the 41st Street Bridge will increase lakefront access on the South Side and be fully ADA accessible, with ramps to accommodate bicycles, wheel chairs and emergency vehicles. 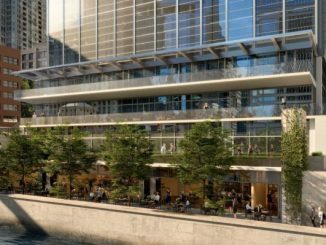 Increasing access to the lakefront is a key component of Building on Burnham, Mayor Emanuel’s comprehensive plan to invest in the Lakefront, the Chicago River, natural areas and recreational opportunities in neighborhoods across the city. The project is supported by an $18.76 million Transportation Investment Generating Economic Recovery (TIGER) grant from the U.S. Department of Transportation, a key source of federal funding for innovative transportation projects that is slated for elimination in the proposed federal budget. Additional funding comes from other federal and state sources. The prime contractor is FH Paschen. 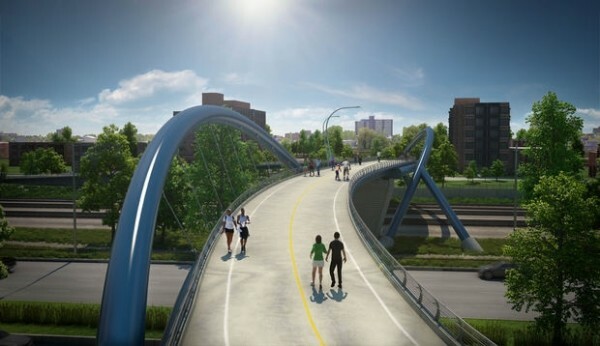 The new pedestrian and bike bridge is the second of five bridge projects announced by Mayor Emanuel to improve access to the lakefront on the city’s South Side. A replacement pedestrian bridge at 35th Street opened in 2016. Construction of a new vehicular bridge over the railroad tracks at Oakwood Boulevard/39th Street is scheduled to start by the end of the year. CDOT is completing engineering plans for the replacement of the deteriorating, non-ADA compliant pedestrian bridge at 43rd Street. Engineering is also being finalized on a project to replace the bridge over the railroad tracks at 31st Street. The new bridges at 41st and 43rd streets are designed by AECOM with Cordogan, Clark & Associates. The inclined arch mono-truss structures are each about 1,470 feet long and will each support large, graceful S-curves that echo the curves of the walkways in Burnham Park. The designs for the bridge were developed in coordination with the Chicago Park District and the Chicago Housing Authority (CHA). It will directly connect Lake Park Crescent, 348 new units of mixed-income housing created through CHA’s Plan for Transformation, and its neighboring park with the Oakwood/41st Street Beach, recently created as part of the Lake Michigan shoreline revetment reconstruction. Bronzeville is undergoing a resurgence of public and private investments under the Mayor’s leadership following the opening of the 35th Street Bridge, Mariano’s grocery store and Ellis Park Arts and Recreation Center. Other recently announced investments include a new fieldhouse at Williams Park, significant upgrades to the Chicago Bee library branch and the Parade of Homes housing initiative. Traffic impacts on Lake Shore Drive are expected to be minimal during construction. The project is expected to be complete in late 2018.